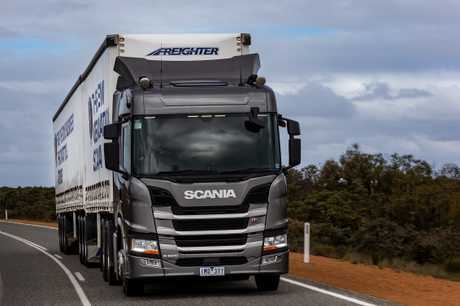 A COMPREHENSIVE array of Scania's New Truck Generation will be on display in public for the first time in Australia at the 2019 Brisbane Truck Show, which runs from May 16-19. Leading the charge will be the new 650 hp V8 Euro 6 engine fitted in an R-series prime mover, complete with 3300 Nm of torque, and ideally-suited to long-haulage work. There will be two G 500 6-cylinder Euro 6 prime movers on the stand: one in G 500 road freight guise (for example inter-state high cubic capacity B-double work) and the second, as a G 500 XT specified for construction duties, complete with steel tipper body. Rounding out the display will be a P 340 Euro 6, 6x2 gas-fuelled rigid truck, a specification seen for the first time in Australia. This green, clean and efficient vehicle carries twin large-capacity compressed natural gas tanks, and can offer vastly reduced CO2 emissions, making it ideal for operations in densely-populated urban delivery environments. As with all Scania trucks offered in Australia, the eye-catching silver-painted display vehicles are all fitted with side curtain roll-over airbags to provide the highest level of crash protection available for driver and passenger. Also fitted to all display vehicles is the Scania Communicator telematics system, electrically operated cab tilt function, Scania Retarder and Scania Opticruise automated gear change, with driver-selectable operating modes. All the Scania trucks on the stand are also equipped with state-of-the art LED head and taillamps, Advanced Emergency Braking, Lane Departure Warning, Adaptive Cruise Control and Electronic Stability Program, underlining Scania's commitment to providing its customers with the safest possible workplace. 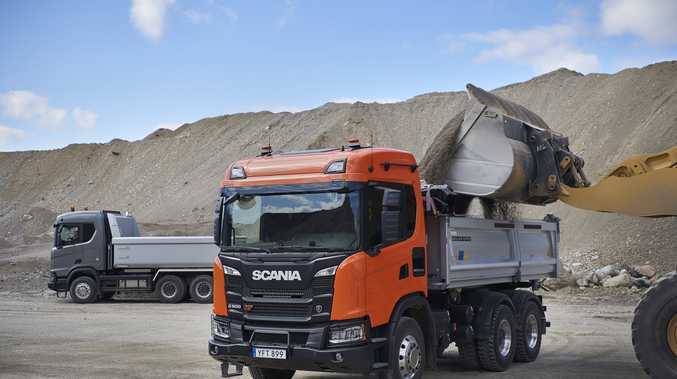 In addition, Scania will once again showcase its transport solutions with experts on hand to discuss contract maintenance, driver training, connected services and truck rental. Scania Finance Australia will also have representatives on the stand to discuss funding for new vehicle purchases as well as its new insurance products. In line with Scania's leadership in offering Euro 6 to the Australian market, all the vehicles on the stand are Euro 6 compliant. Currently, Scania's Euro 6 sales account for 90% of deliveries in Australia, underlining the willingness of Scania's customers to play their role in reducing air pollution. "The Brisbane Truck Show gives Scania the first opportunity to display to the market comprehensive array of NTG trucks, from the innovative P 340 CNG-fuelled 6x2 rigid, to the Euro 6 650 hp V8-powered R 650," said Dean Dal Santo, Director of Sales for Scania Trucks in Australia. "We have seen a marked increase in interest and orders since we debuted the NTG range in Australia just one year ago. This show will give the industry and general public the opportunity to see exactly how the latest technology in truck transport can benefit their lives and businesses. "Our focus on business sustainability will illustrate just how the addition of Scania trucks to a company fleet can drive down total operating costs, improve uptime and therefore profitability. "With more than 4000 Scania vehicles in Australia using our Scania telematics system, we are able to analyse and demonstrate, week-by-week, how Scania's solutions can save businesses significant amounts of money, which makes them financially stronger, better employers, securing jobs for Australians in the industry," Dean said. "We have taken a conscious decision to display all our trucks as Euro 6 compliant, to illustrate how we are leading the shift towards a sustainable transport system for Australia. "Our customers, and our customers' customers are now demanding a smaller carbon footprint from transport logistics in order to meet their own environmental targets, and Scania is fully equipped to deliver on this need," Dean said. "We look forward to discussing our pathways towards Total Operating Economy and a smaller carbon footprint with all businesses interested in reducing their operating costs and boosting their profitability," he said.